If you follow Southern In Law on Facebook, Twitter or Instagram - I may have teased you with a picture of these muffins earlier in the week. I was wondering if anyone might have been able to guess the flavour! I got peanut butter, sweet potato, caramel - but I seem to have fooled you all with the gingerbread! The idea for these Gingerbread Muffins came from the cold and dreary weather. I love the warming spices of Gingerbread and wanted to recreate them! Sure, I could have made gluten free gingerbread cookies - but I'm not much of a cookie fan! 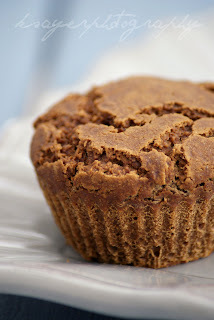 Instead, I decided to get to work on some gluten free gingerbread muffins! They can be vegan too! So I got to work with some ingredients that just have to be used in gingerbread. 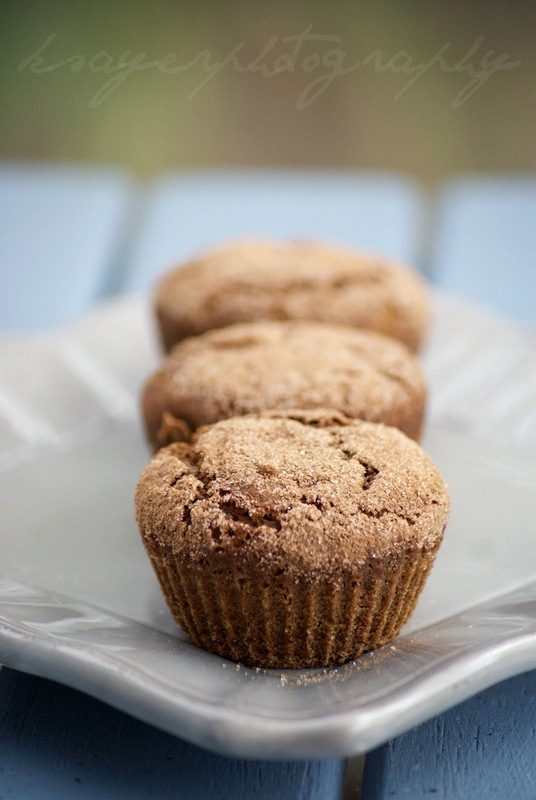 Molasses, cinnamon and ginger. 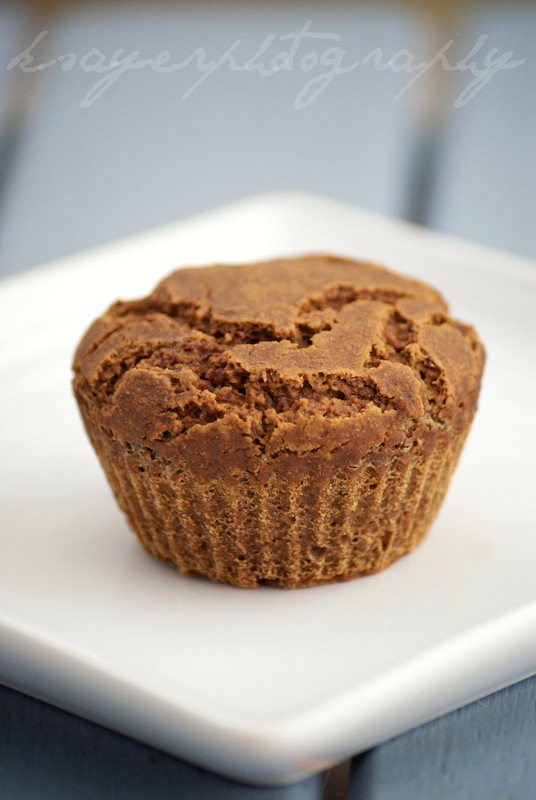 What resulted were delicious, low fat, healthy gingerbread muffins that you may want to call something like... yumtastic or deliciable perhaps even amazeballs. 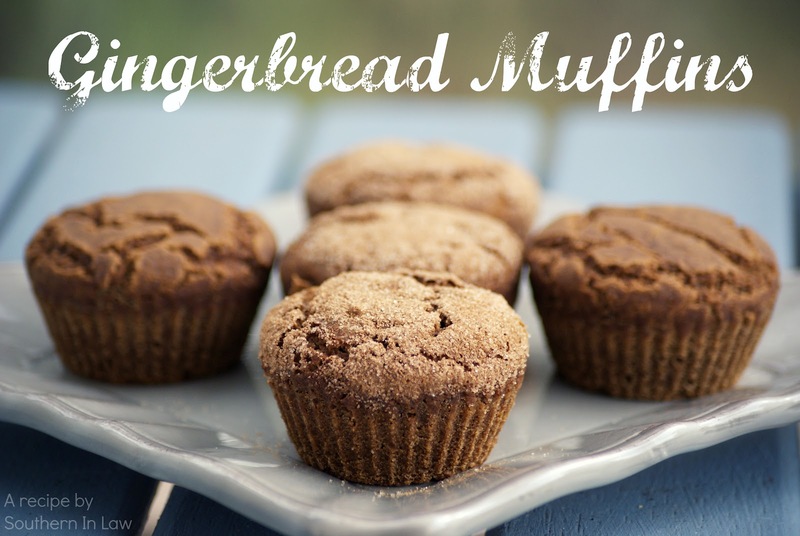 They are fluffy and moist with the most delicious gingerbread flavour. These muffins have a delicate ginger flavour, however, if you're a big ginger fan - just add a bit more! They can be made one of two ways - with a cinnamon sugar top or without. I like them either way but the cinnamon sugar top gives them a delicious crunch. You don't need much, just a pinch (I'd say less than 1/4 tsp otherwise it will go everywhere). In a large bowl mix together flour, baking soda, salt, cinnamon and ginger. In a medium mixing bowl combine milk, sugar, molasses and applesauce and pour into the dry ingredients. Stir the mixture together until just combined and pour into muffin cups. 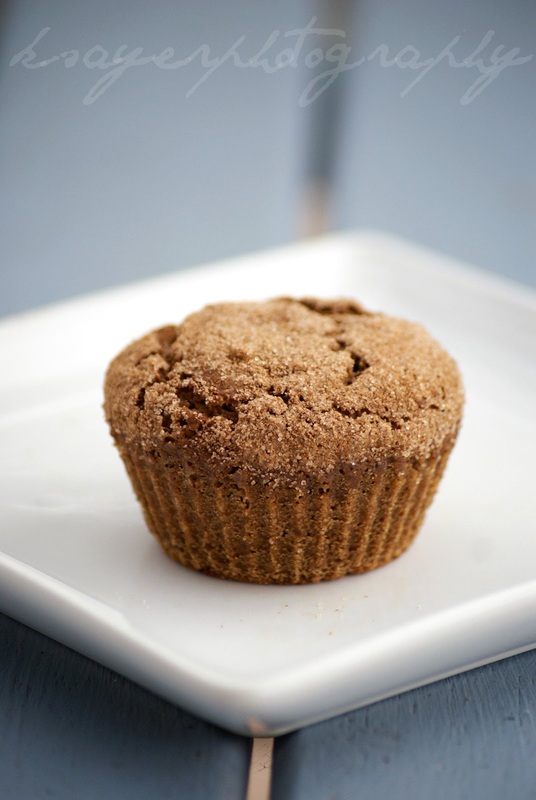 If using cinnamon sugar: sprinkle sugar mixture over the tops of the muffins. Bake muffins for 10-15 minutes or until a skewer inserted removes clean (the sugared ones take slightly longer). Cinnamon Sugar ToppingYou can do this topping one of two ways - make your own or use store bought cinnamon sugar and sprinkle it on top. The ingredients to make your own are the same as my cinnamon roll muffins. If you don't have/like molasses you can probably use something like golden syrup or treacle, you just won't have the molasses flavour. So tell me - what is your favourite muffin flavour? or do you have any new muffin ideas I should make? 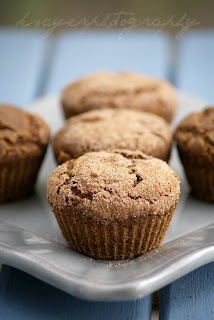 Wow I saw these muffins on foodgawker and they look so yummy! I love that you have gluten free recipes. Keep up the great work! Bee they are delicious! If you're a ginger fan, definitely up the amount to 3/4-1 tsp rather than 1/2! I'm a sucker for gingerbread and can't wait to make these!! mmm, gingerbread is so heartwarming! It is! It's a perfect wintery treat. These are terrific. I used yogurt instead of applesauce and upped the ginger as you suggested. And I used whole wheat white flour. 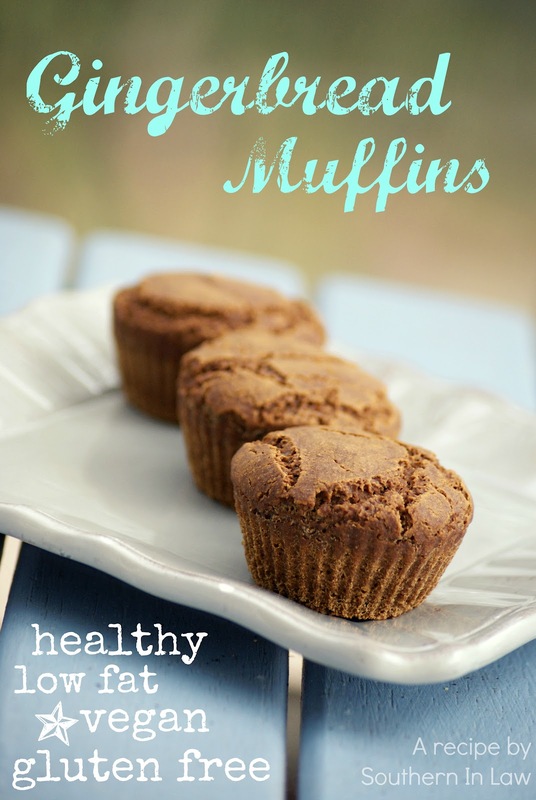 I love gingerbread and I'm so happy to have a recipe for muffins that fits in with Weight Watchers and is still delicious! Thank you! I blogged them as well. I was wondering if there was something we could replace the milk with so that the recipe is gluten and dairy free? Most definitely! Just use your preferred non-dairy milk. I love almond milk and have made these using Almond Breeze and they were perfect! I just put this recipe in the oven and it smells divine! I used yogurt instead of milk and it was SO thick! I added a bit of milk and it still wasn't pourable...Just wanted to check on what the consistency should be? The reason that the mix would have been so thick is because of the yogurt. Milk has a much more liquid consistency than yogurt, which tends to thicken cake batters. You could remedy this by adding some extra liquid (milk - or possibly water) to loosen the batter. Hi Amanda, you could but it would definitely change the flavour. If you do, you may want to use extra spice and ginger to give it more flavour. OK I will give it a go today and see if it pasts the taste test. Do you think these would still fresh until Christmas or should I freeze them? I'd say freeze them (as Christmas is a week out) - though if you're planning on making them with the sugared tops, they're best made fresh - so maybe make them a day or two beforehand. I made this recipe multiplied by 12! It was for morning snack at a large daycare center. I used coconut milk, AP flour, all brn. sugar, and a little bit of egg replacer (it didn't need the egg replacer). I baked the batter in two large catering pans and it would have been better in 3 or four but the thick batter was difficult to spread. The giant loaves took a reaaaallllly long time to bake and I had to pull them out and cut them into smaller pieces to get the centers cooke. It was all totally worth it! This was a huge hit with kids and staff. The kids thought they were getting cake for snack! I am going to keep this recipe to make at home using fresh ginger and whole wheat flour. Homerun!! That is so awesome! I am so glad that the cake was a hit and worth the effort! I've never tried this recipe in cake form, however, I have had the same trouble before when working with catering pans. The best thing about healthy recipes is that you can have your cake and eat it too - with no worries at all!! I made them three times this week (to use up all the molasses and apple sauce) it was amazing! they never last a day before being eaten up! I do wonder how to stop bubbles from forming on the top. I think its because of the lumpy brown sugar. Excellent recipe! To stop the bubbles, just make sure your brown sugar is free of any lumps. You can run it through a sieve or pulse it in a food processor if they're too hard to get out with a spatula or spoon. You'll have to send me a picture next time you make them so I can feature your muffins in our weekly newsletter! I followed the instructions, but the batter was realy thick, about the consistency of cookie dough. Do you know why that might be? I added some more milk to try to make the right consistency. The pictures you have look realy yummy! Hmm, sometimes that can happen as the properties of flour will change according to how you store it, what climate you're in, how long the flour has been opened and what type of flour has been used. Definitely add in some more milk to get it to be the right consistency - it should be a muffin style batter, which is thicker than a cake batter, but definitely not like cookie dough!